80 billion social media users posted in 2017. 95% of 18-34-year-olds prefer to follow brands through social networks. Brands see an engagement rate of 4.21% on Instagram on average. Today’s customers want to build a connection with their favorite companies. The question is, how do you make sure your social media efforts have the right impact on your target market? The simple answer is data. It’s impossible to know for sure whether you’re making the right business decisions unless you measure your performance through social media KPIs (key performance indicators) and metrics. Understanding your core social media KPIs helps you adapt your campaigns to suit your goals and your customers. Social media KPIs help brands to understand how well their campaigns are performing and whether they might need to make changes to their strategy. Perhaps the most obvious way to determine whether you’re reaching enough people is to look at how many followers and fans you have on each platform. Remember, thousands of fans who fail to engage won’t do much for your brand. But knowing your company has reach can be a good way to start your campaign. Impressions are a complicated metric to measure. They show how many times your posts showed up on a timeline or newsfeed. 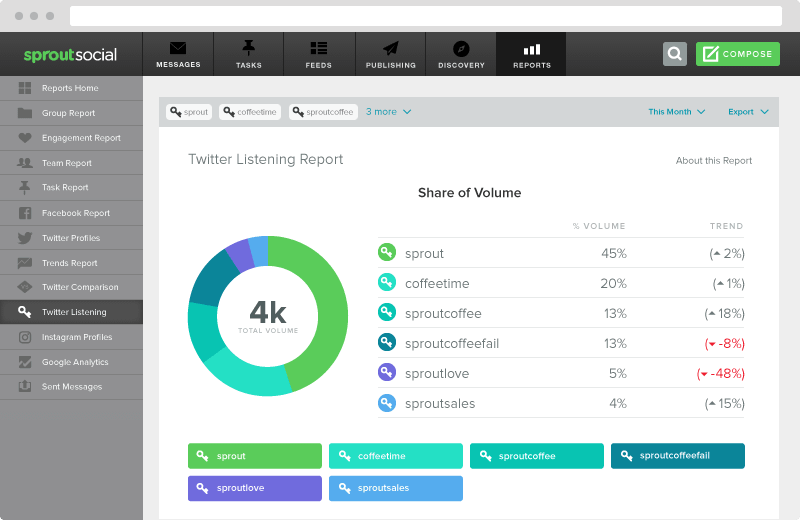 One user can have multiple impressions. For instance, they may see a post once in their own feed, and then again when someone else they follow shares it. Though this number is vague as it simply indicates how many people could connect with your brand, a higher number is typically better. The amount of traffic to your website from your social media campaigns is crucial. It’s the first step in converting your followers into customers, as you know that they’re interested enough to find out more about your company. If your social media campaigns get a lot of reach and engagement but have little improvement in web traffic, this could be a sign to tweak your call to action. The more brand awareness and recognition begins to grow for your company, the more you’ll notice a conversation emerging around you. Share of Voice is a metric that determines how the buzz around your business compares to that of your competitors. It’s about figuring out whether you’re inspiring more chatter than the other people in your industry. If you’re not generating conversation, then it might be time to take a look at your competitor’s campaigns and see what they’re doing differently. 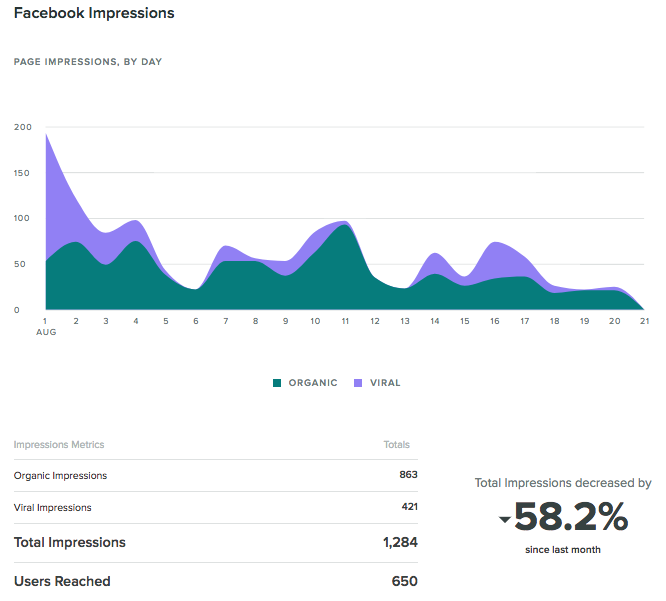 Social media KPIs for reach are a fantastic way to measure the potential of your campaigns. However, these metrics don’t mean much by themselves. It’s no good having a huge following if the people connected to your company never buy anything. Clicks are one of the simplest forms of engagement to measure. Anyone willing to click on a link to your website or blog is generally more likely to convert. This means you’re starting to cultivate qualified leads, instead of basic traffic. Link clicks account for roughly 92% of user interaction on Twitter. Remember, when you’re looking at clicks you should also think about likes, shares and bounce rate too. If your clicks are high but your bounce rate is equally elevated, then this could indicate that your landing pages aren’t as appealing as they should be. Similarly, if shares are low, this could suggest that people simply don’t like what you’re selling. Likes are a natural way to generate attention for your brand. As human beings, we prefer to associate ourselves with ideas and things that are popular. That means the more likes a post has, the higher engagement it will cultivate. Likes are also a sign that your content has authority and deserves more attention from your marketing team. 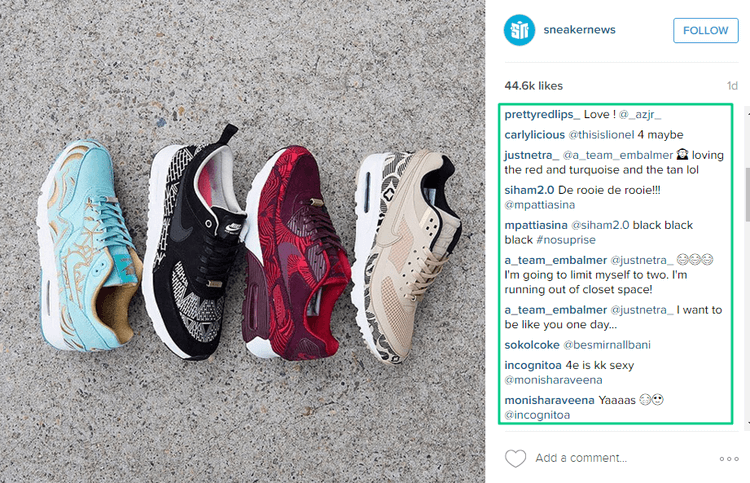 While likes are great, it’s not a huge indicator of brand loyalty. We can easily hit a like button after barely reading a post and then never interact with the same company again. While likes are one of the many social media key performance indicators you should measure, if you want to look at true engagement, then make sure you track shares and retweets. Shares are a sign that your customers are willing to recommend your brand to their friends. And in this age of social proof, that’s a pretty big deal. 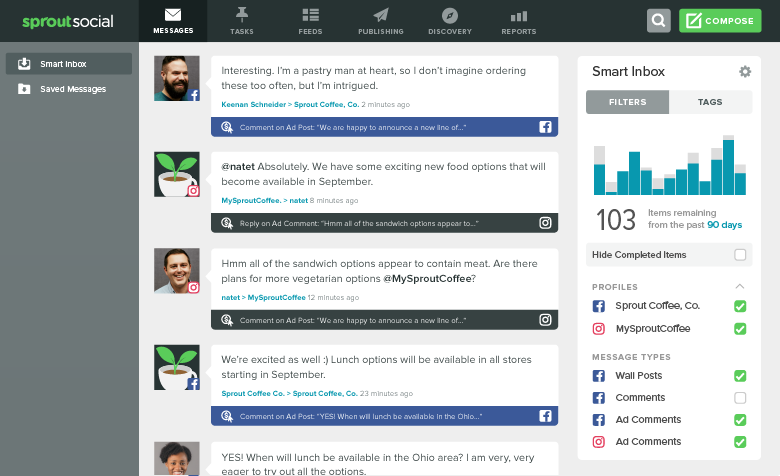 The whole point of being active on social is to engage in conversations with your customers. If your content is relevant, interesting and informative, it will spark a conversation with your followers. More so, it could help generate loyalty among your followers. Even if people are critical with responses to your messages, at least you’ll be able to learn something. If you get comments on your posts, this is a good sign you’re making the right impact. That’s why comments are great KPIs for social media managers. Approximately 96% of people who discuss companies on social don’t even follow that brand’s profile. In other words, people talk about your company when you’re not in the room. Even though you might not have a direct connection with those individuals, the things they say about your company are important. 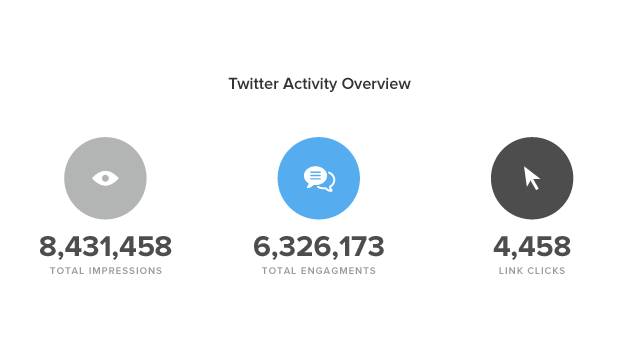 That’s why it’s worth looking at mentions when you’re measuring social media KPIs. If nothing else, mentions show that you’ve got good “top of mind” awareness. For many companies, conversion metrics are the ultimate way to measure the success of a social media campaign. Once your accounts start generating attention, you’ll need to look beyond the likes and shares and think about how your efforts are affecting your bottom line. Ask yourself how many fans on your social pages want to purchase something from you. After all, you could have a huge following on Instagram, but if none of your fans click through to your website and buy your product, then what does it all mean? When you were planning out your goals at the beginning of your social media campaign, you probably picked “increase sales revenue” as one of the top contenders. All companies want to make a profit and it’s important to know how your efforts on social media are making an impact on your bottom line. Determine how many conversions come to your website directly from social media, and try to get a general idea of the value of each customer. Lead conversion rate indicates how many of your leads end up buying something from you. Social media efforts can improve this metric because they generate social proof for your brand, making it easier for you to earn trust and drive more conversions. Checking out your Google Analytics profile is the easiest way to get an insight into your lead conversion rate. Remember, not all conversions are silver and gold. Sometimes a conversion can be something as simple as customers signing up for your newsletter so you have a larger email marketing list. However, conversions for a campaign might include downloading an eBook or filling out a form. It’s up to you to determine what success looks like for you. From there, you can begin to evaluate how your social strategies are prompting action from your customers. As we progress into the era of the empowered customer, it’s important to include one more set of social media KPIs to this list. Today, the only way to truly differentiate your company from the countless numbers of other brands in the marketplace, is to give your customers something worth coming back to. Social media can be the ultimate source of brand loyalty, but only if you know how to use it correctly. If you understand exactly what kind of impact your campaigns have on your customer base, you can minimize cost per lead, improve advocacy for your company and turn one-off purchases into loyal users. Since your business relies heavily on qualified leads, it’s important to know how much each one is costing you. The easiest way to determine cost-per-lead is to simply look at the amount of cash you spend on your social campaigns. The great thing about social media is unlike PPC and AdWords, it focuses on building relationships with your audience and generating authority for your brand. That means that over time, your cost per lead should decrease. Social media is more than just a way to connect with your customers, it’s an opportunity to prove your value to them in countless different ways. For instance, 78% of people who complain to a brand through Twitter expect a response within one hour. If you can show your customers that you respect them by resolving their issues quickly and effectively, then you could differentiate your brand as one that knows the value of great customer service. 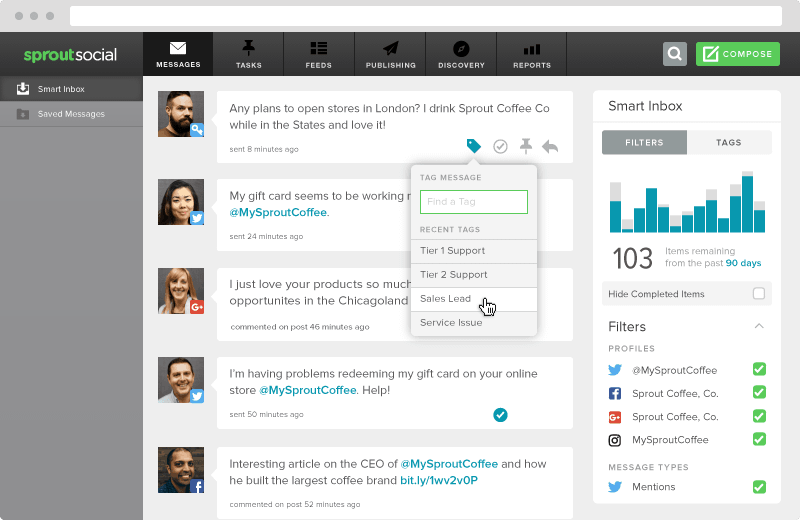 With Sprout Social, it’s simple to tag messages to either your sales, marketing or customer service team. Ensure your issues don’t go by the wayside and even keep track of your own team’s performance metrics. Finally, one of the most difficult tasks for any company to accomplish involves improving the lifetime value of their customers. The more loyal your fans become, the likelier they’ll buy from you. Social media campaigns can enhance customer lifetime value by ensuring that you constantly connect with the right people, rather than making brief impressions. Measure CLV as often as you can to determine how powerful your social strategies really are. The great thing about tracking this key performance indicator is that it probably aligns with some of your general business KPIs as well. It’s not enough to simply create a profile on social media if you want to take advantage of the countless benefits these profiles can offer. In today’s hyper-connected world, you need to know how to communicate with your audience in the most productive and efficient ways. And that’s why KPI tracking is so crucial. By looking at the data that your social media strategies generate, you can begin to make clever and informed decisions about how to enhance their future campaigns. When it comes to online success, don’t underestimate the power of social media KPIs.